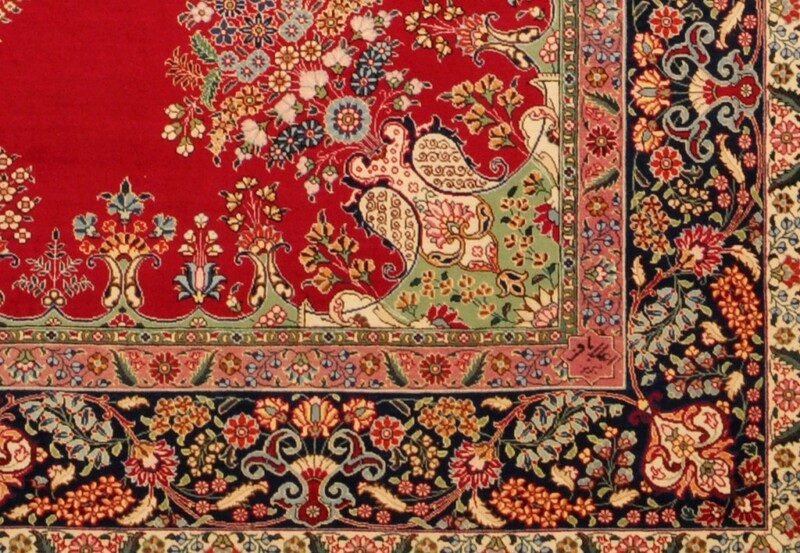 When you see a Persian rug that has a signature on it, you know you are looking at something truly special. 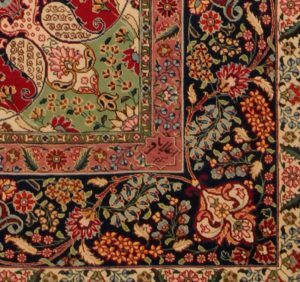 Not all Persian rugs have signatures on them. Only very few pieces that are painstakingly created by master craftsmen have this special feature on them. There is no mistaking the superiority of these rugs, whether it is in their flawless craftsmanship, the fine quality of the materials used or the outstanding design and color combinations. Signature rugs are not manufactured by just any ordinary weavers on home-made looms. These rugs are manufactured in special workshops that are owned and operated by a few people who take great pride in their creations and who will not approve of any rug that is anything less than perfect. These workshop owners oversee every aspect of the weaving process and make sure that all processes are in total synchrony so that the end result is 100% perfection. The first thing that is taken care of is the recruitment of the weavers. 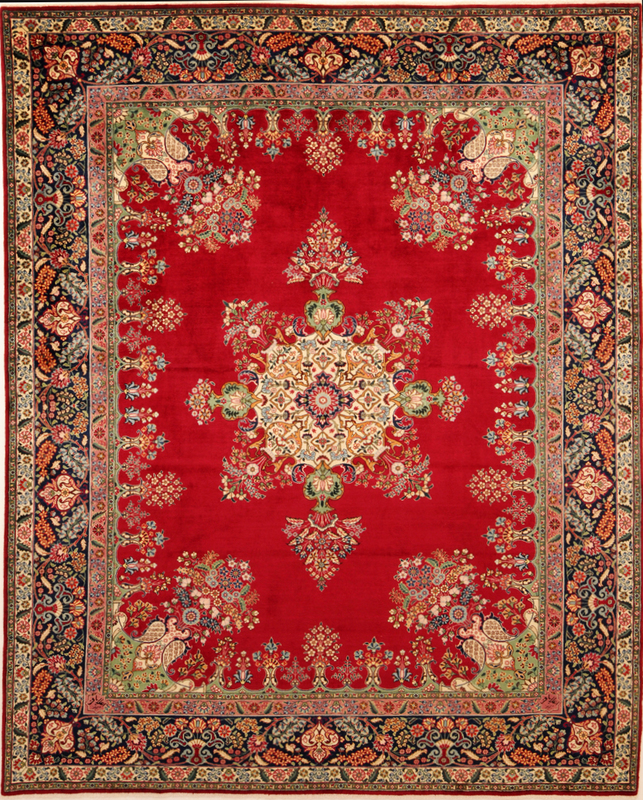 Only highly experienced and skilled weavers are entrusted to work on these special rugs. Once the weavers are chosen, the next task is to look for talented artists who have already established themselves with the exquisite work they have done. 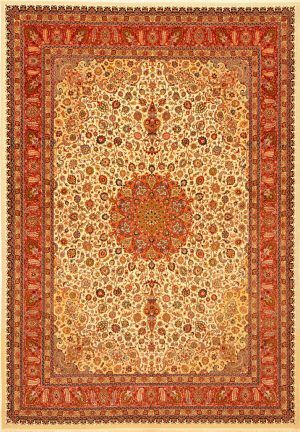 These expert artists are entrusted with the job of designing the patterns of the rug along with the creation of attractive color combinations. To make the rugs only the finest materials are used. Most of these rugs are made of wool of the best quality available. The wool is dyed into the desired colors depending on the pattern of the rug. Every stage is closely supervised and managed so that there are no mistakes in understanding or executing the task during any stage. With so much care and attention being paid to every little aspect of creating the rug, it is not surprising that the final product is a true masterpiece in every sense of the word, from the design and colors to the weave. When this masterpiece is ready for the market, the master weaver is only too happy to proudly sign his name on it with a flourish. 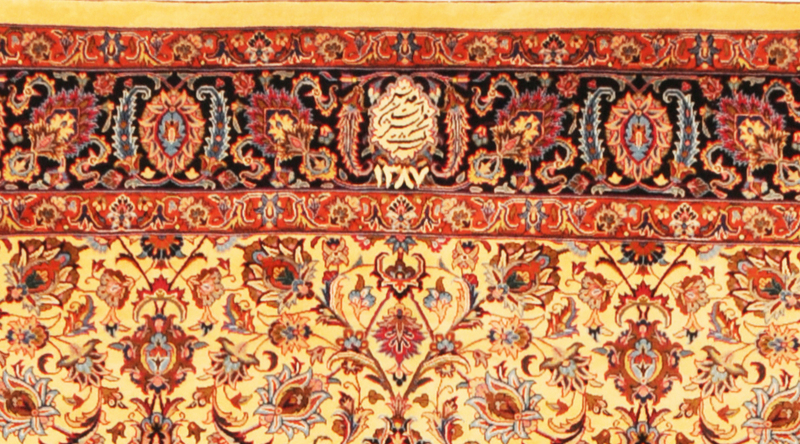 There are certain Tabriz rugs that are signed by “Alabaf”. These rugs have a long history going back 120 years. The pioneer of the Alabaf weaving tradition set up the first workshop in the family backyard where these iconic rugs were manufactured for 40 years. After this time, it was moved to a new place, which had less than 100 looms. Upon his death in 1949, four of his seven sons took over and continued their father’s work. They operated quite a large workshop with 1000 weavers and workers working on more than 300 looms. 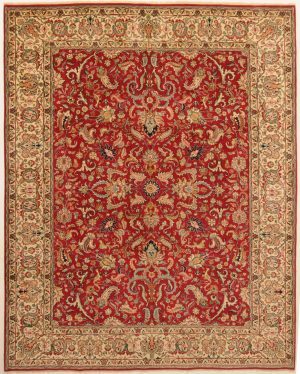 The hard work of three generations has made the name “Alabaf” a source of pride for the Persian Rug industry. The Alabaf family was at its peak as a high quality producer between 1948 and 1990. The third generation of the family continues the tradition of weaving rugs till today. “Alabaf” rugs that were manufactured by this first generation are at least sixty years old. 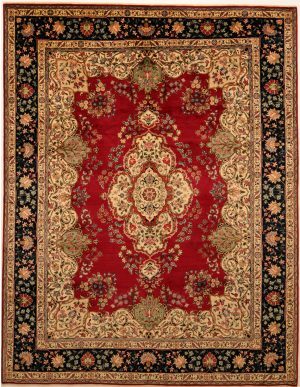 While all rugs that were manufactured by the first and second generations used 100% natural and vegetable dyes, it is generally agreed that the second generation used the highest quality wool and dyes. They sourced their wool from the Golpayegan area, which was generally considered to have the highest quality of wool in Iran. The majority of designs were created by two of the best designers in Tabriz, Mir Mosavar Arjangi and his son Manochehr Arjangi. Except for very few rugs, most manufactured by “Alabaf” have a signature. There are very few rugs that do not have a signature. In place of the customary signature, they have the number 185 on them. That is not just any number. In the Abjad alphabet, the number 185 reads as “Alabaf”. 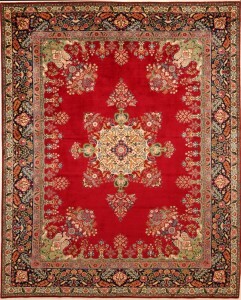 “Astan Ghods Razavi” is another reputed rug-manufacturing organization. Located in Mashad, the Astan Ghods Razavi company owns several manufacturing factories as well as wholesale and retail outlets, buildings and other property in the “Khorasan” province. 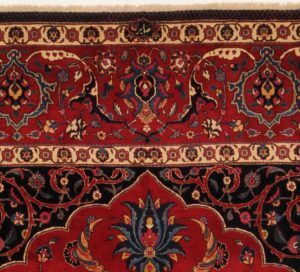 Prior to the revolution in Iran, rug producing was not a primary activity of the company. At that time, they only took on selective orders for weaving rugs. Most of the rugs that they manufactured were for the prestigious “Imlklam Reza Temple”, which is located in Mashad. 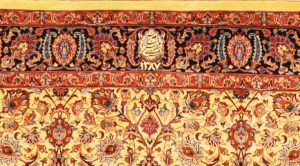 In addition to the rugs that they produced for the temple, they also manufactured a select few pieces on special order, some of which were in very unusual sizes. 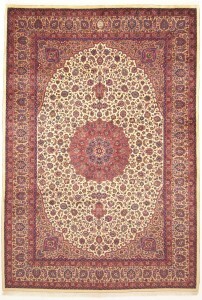 The AGR rug company became well established about 4 years after the revolution. 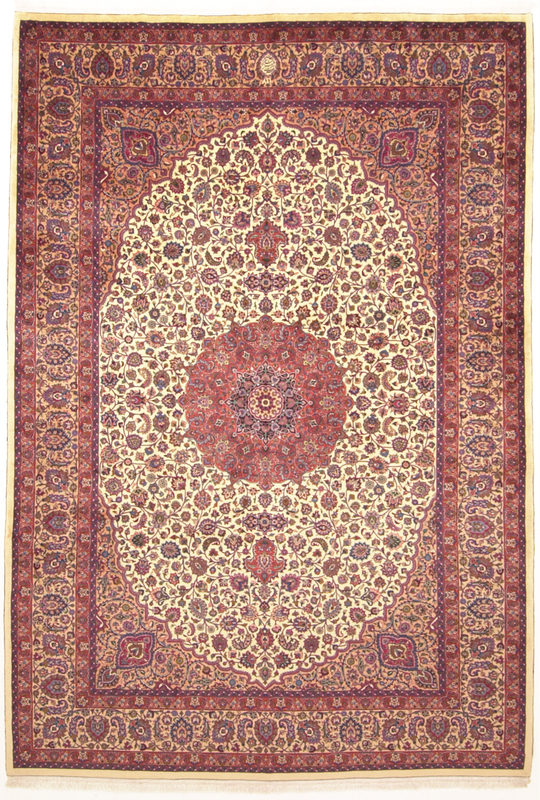 On their board of directors were a few well-known rug dealers from the Mashad area. The board of directors does not get paid for their work with the AGR company. Their work is completely voluntary, mostly driven by their love for the rug industry. 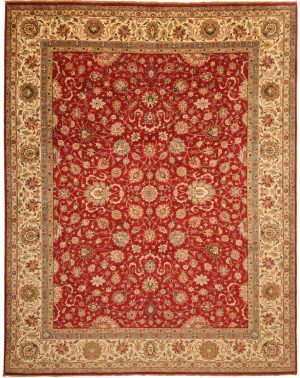 AGR manufactured rugs are generally priced higher in the market but that is fully justified for several reasons. Only the highest quality wool and dye are used in their creations and only the best weavers are selected to work on the pieces. The weavers and artists are well looked after by the company in return for their exemplary work. The salaries are excellent and are complemented by equally attractive perks. This way, the owners of AGR are guaranteed the best work and the weavers and artists know they will be looked after well. AGR rugs have earned a reputation for aging well and looking increasingly better as they age. Most of their designs are flowers with or without a medallion. This organization takes good care of its weavers and artists with good salaries and other benefits. 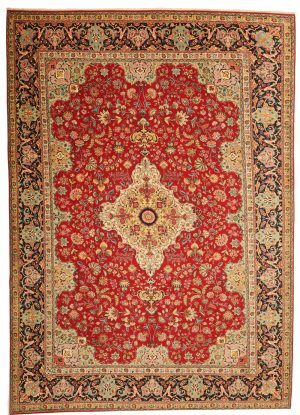 Saber started his rug weaving work over 70 years ago in relatively large workshop in Mashad. He also had several looms scattered in and around the suburbs of Mashad. At the peak of his career, Saber had around 60 looms, in which he produced most large size rugs. You will rarely find a Saber rug that measures less than 12 square meters. 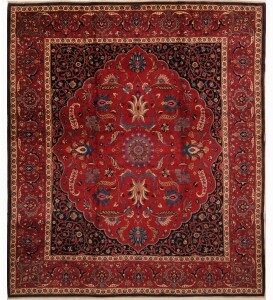 Mashad Saber rugs can be found in allover design as well as medallion design. Some pieces were also made with Turkeman design on special order. All of these rugs are one-of-a-kind . 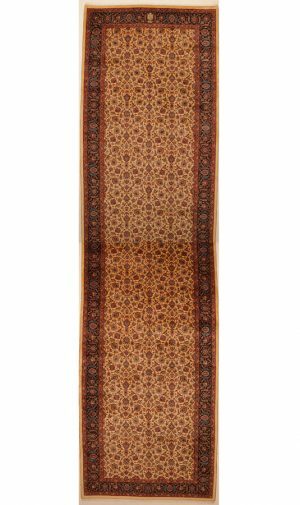 Some of the Saber pieces are quite like the Mashad Amoghi rugs. They are very tightly woven with a zigzag design on the outer sides of the border.